Compact, yet big enough to clear trails, process firewood, and take care of many more campsite tasks. 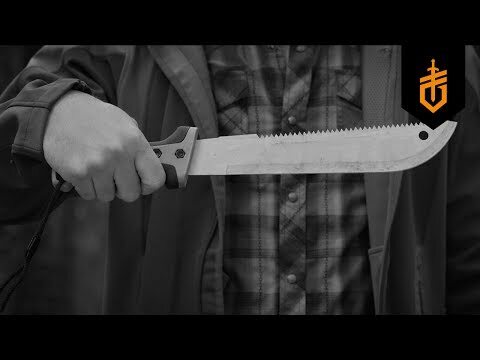 This machete's size and secure sheath make it easy to pack. The straight edge makes short work of vines and green wood, while the saw-back helps you cut thicker, harder woods, so you get a machete and saw all in one. Rubberized, textured GatorGrip® handle provides a secure grip. Lanyard helps keep the tool securely in your hand. Large guard protects your hand while chopping. Saw-back makes short work of wood. Lined sheath for safe and secure transport.